Bit of a late post on this week’s Friday treat, had a fairly busy Saturday and a lazy Sunday where blogging motivation has only just kicked in! Again, this week’s treat is something different – an item of clothing. 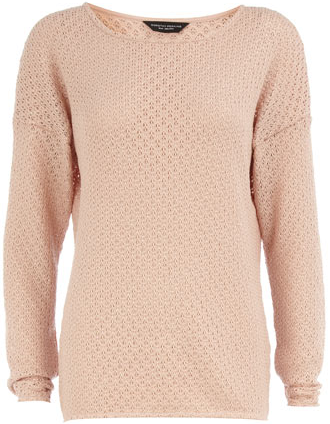 I popped into Dorothy Perkins (the one near Tottenham Court Road station FYI) to have a quick lunch time browse and spotted this little jumper in the sale section. 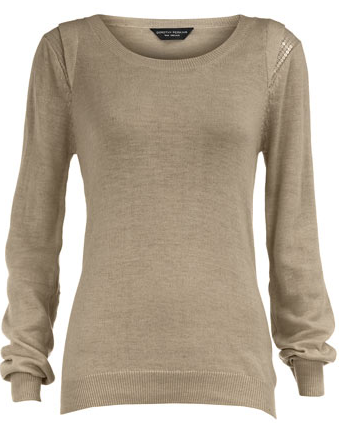 I liked the look of the little transparent sequins as detail on the shoulders and elbows – combined with the nice neutral beige colour and decided this would be the Friday treat this week. You can just about see the shoulder sequin detail here. The sequin detail on the elbows. The jumper was £22, reduced from £32 and I bought it a couple of size up as I wanted to wear it quite slouchy rather than fitted. 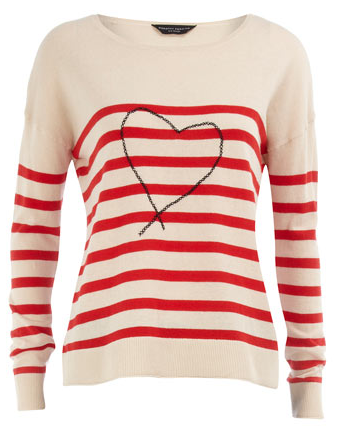 I love the red striped jumper, really, really tempted to buy… but trying to talk myself out of it. The other two, I’m really loving peachy/Spring colours at the moment, and slouchy jumpers… so put these together and these two jumpers are officially on my ‘want’ list. Now just to talk myself out of purchasing. WHY DOES EVERYTHING LOOK SO GOOD WHEN I’M NOT ALLOWED TO BUY?! Sequin jumper bought by me. Love the bits of sequins on your sweater. 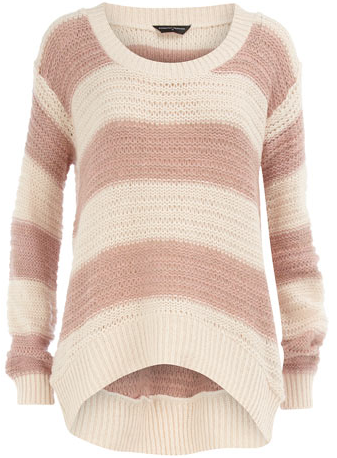 I love the first jumper, and such a bargain in the sale! I’ll keep a look out for it in my local DP store.